Fill out all fields and submit.  Phone number, which will become the password, and username are the only required fields (though other fields will help you find the customer record in the future).  Login as user by either searching for their membership in the vendor admin area or using their login info to directly login. 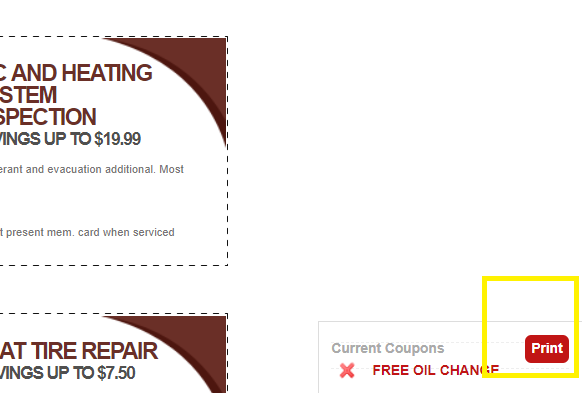 On the coupon tab, "print" the coupon to get them to redeem. 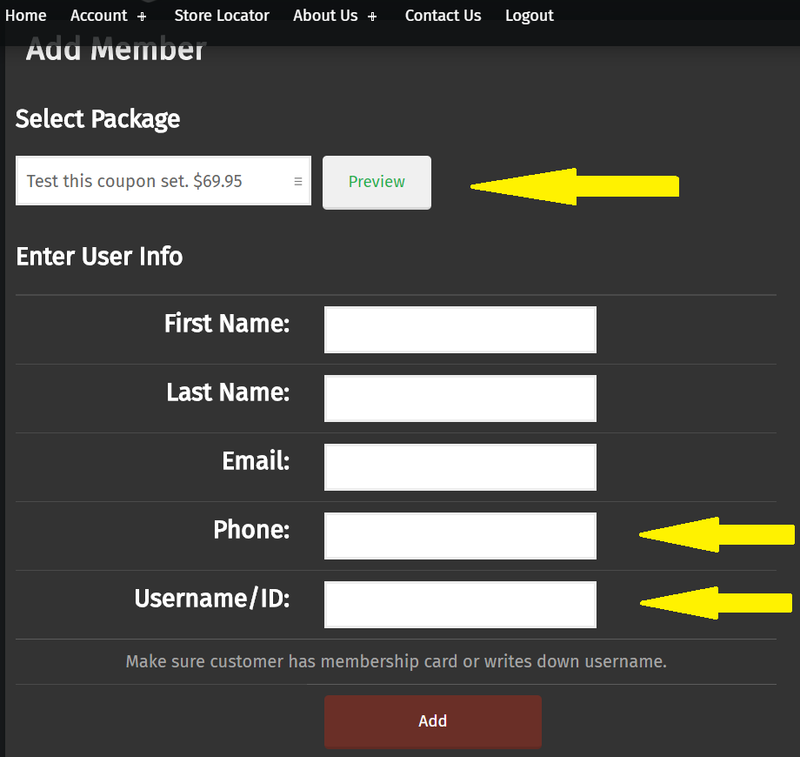 To reverse the redemption, find the membership in the vendor admin area and click the X. 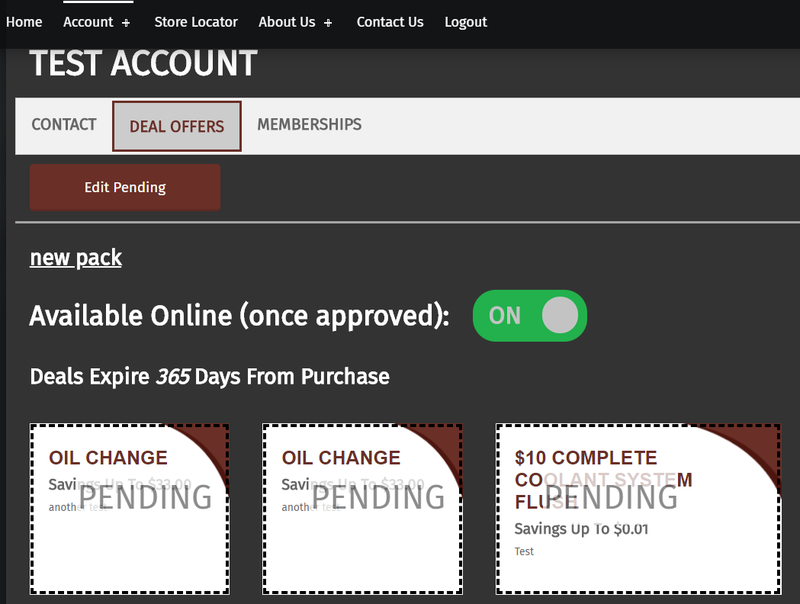 If the deals have expired, updated their sold date so the expiration is still in the future. 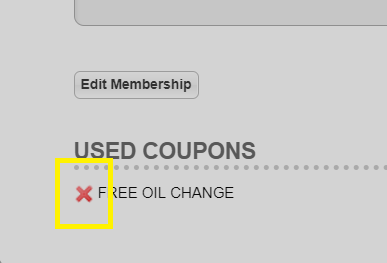 Deals that expire will not be click-able. 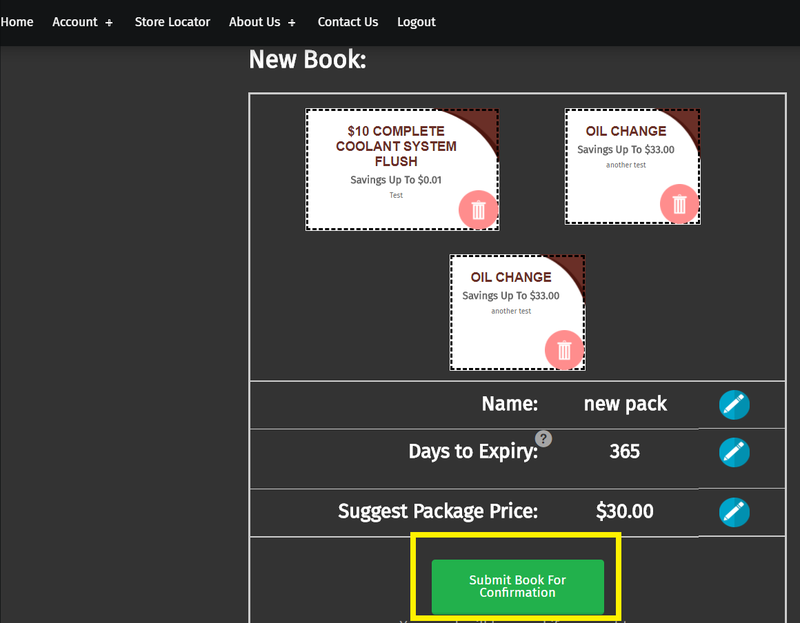 To add a non-expired package, click the button (B), and select a package to add to this member as of today's date. Search for member in vendor admin area. 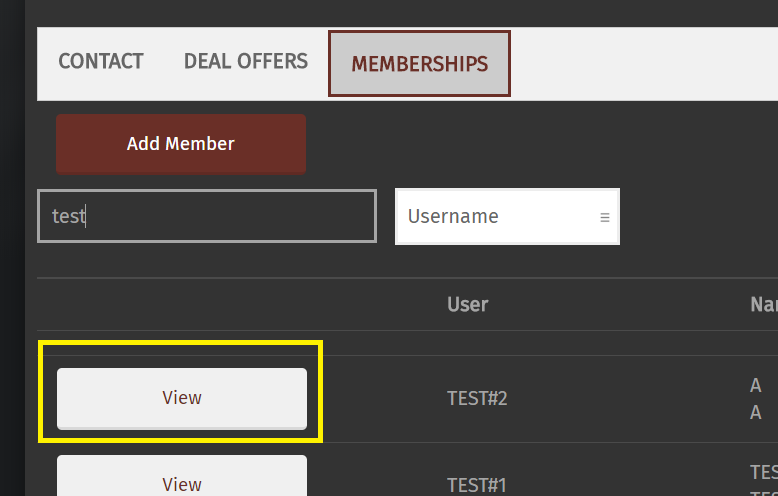 Find and view member as described in Viewing User/Redeeming Coupons. 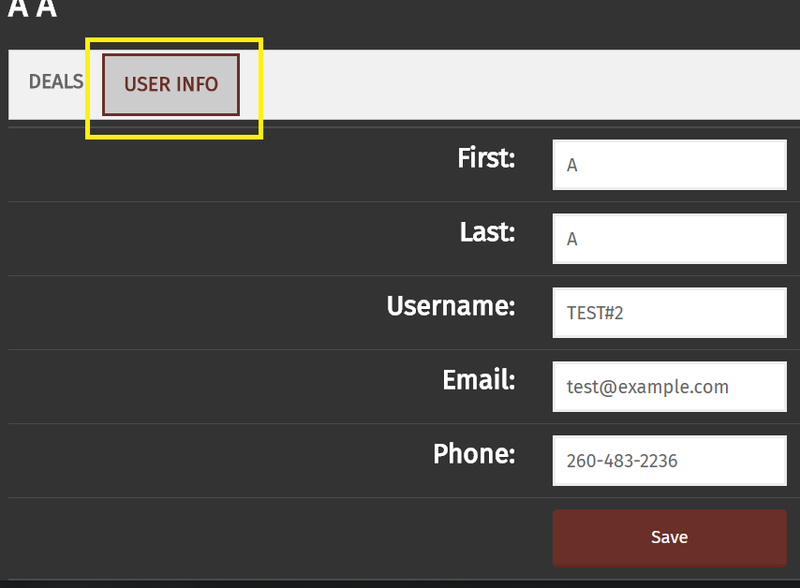 Edit fields on the User Info tab and save. 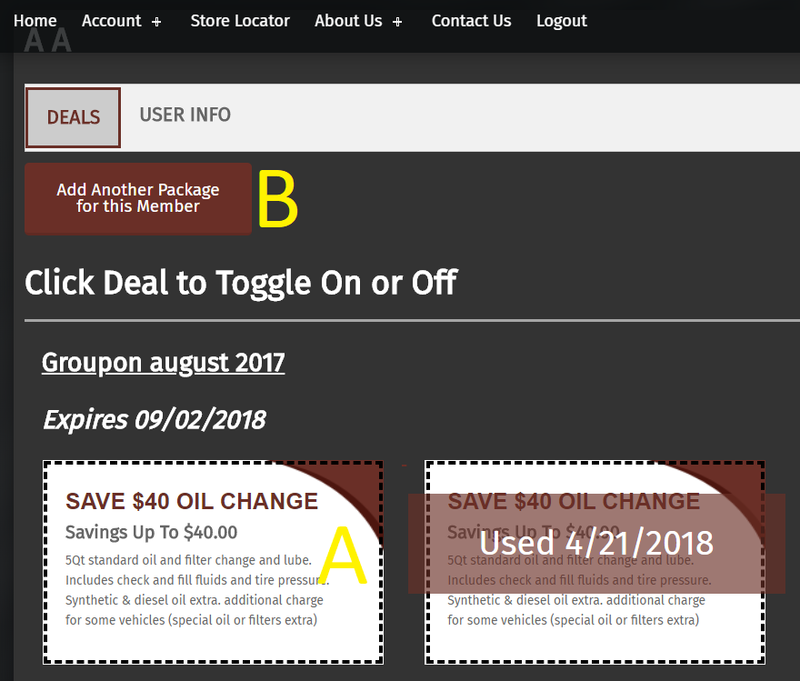 The Availablity switch will determine if Car Care Deals can sell this package on-line ("actively sold"), or if the deal will be retired or only offered in-house ("in-house only"). 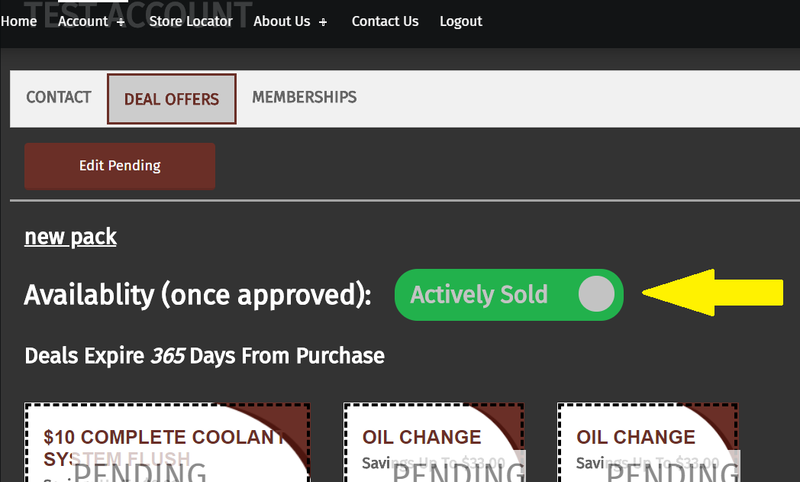 Typically this is used to turn off offers that have been replaced with newer versions.